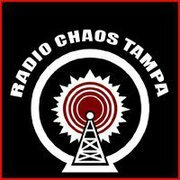 Only hours ago i brought you the sad news about Radio Chaos Tampa. Just had a chat with Rob from RCT and THEY WILL BE CONTINUEING !! So tune in to the online station for people who tend to "think" about music ! Tune in ... Turn on ... DON'T burn out !! Some sad news reached us a few days ago ! because they no longer have the time to continue doing daily show change outs. They are currently pulling all shows and are just going to a random play server. 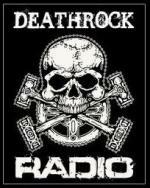 THIS MEANS WE ARE DESPERATELY SEEKING OTHER INTERNET BASED STATIONS WHO ARE WILLING TO AIR THE SHOW !!! If you know a station or dj on one, please send us the coordinates so we can contact them. Shadowplay Festival harsh EBM / Dark electro special. Shadowplay Festival from july 22nd to july 24th. 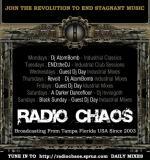 Shadowplay Festival is the legit successor of the Gothic festival ! Due to technical problems i only aired 1 hour instead of 2 ! !